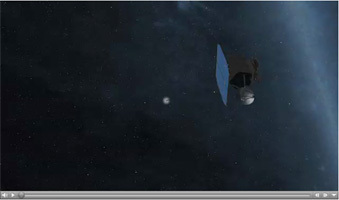 This artist's animation shows a sped-up view of the EPOXI mission spacecraft during its Nov. 4, 2010 flyby of comet Hartley 2. 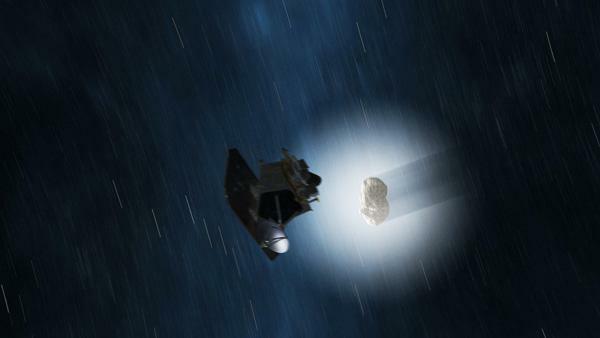 The fluffy shell around the comet, called a coma, is made up of gas and dust that blew off the comet's core, or nucleus. 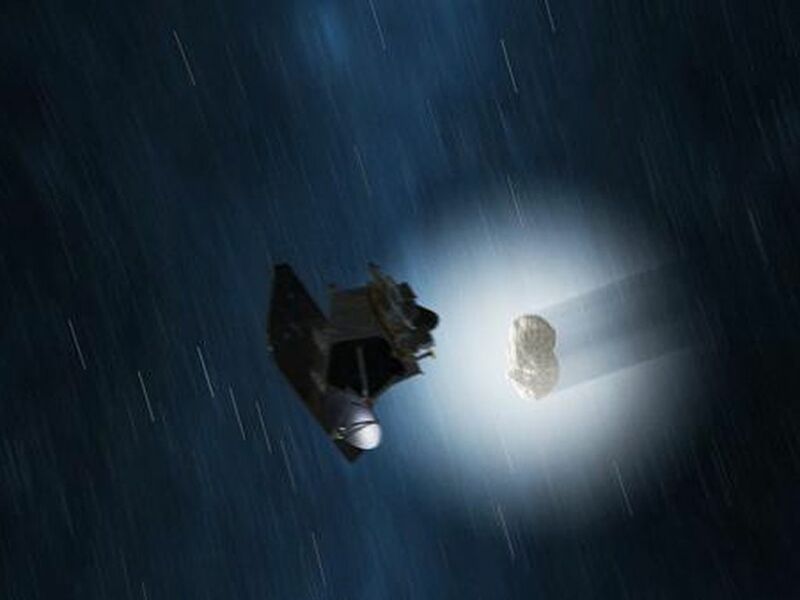 The EPOXI mission will study the comet's coma and nucleus in detail, in particular to understand how the coma is produced from the nucleus.